Distinguished French novelist (1802-1870) of such historical classics as The Count of Monte Cristo, The Three Musketeers, and The Man in the Iron Mask. 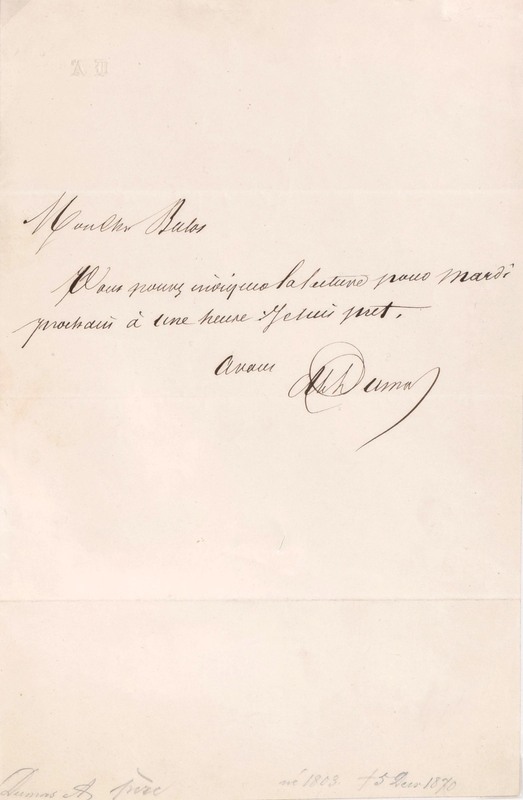 ANS on his personal stationary with Blind Stamp AD in top left corner, written in French, signed "Alex Dumas," one page, 4 x 6.25, no date. Untranslated.